The Orange County housing market is experiencing a slight spike in inventory as we gear up for the peak of the season. Though the market varies from year to year, the upcoming housing season will prove interesting as prices have increased and interest rates continue to be on the rise. If you are considering buying a home this spring, it is crucial to have your finances in order, and be prepared to act fast! We recommend reading these helpful tips before beginning the search for your dream home. Read the full article here. Make sure you hire a realtor who has top-notch negotiation skills and knows how to masterfully position offers. During the peak of the season, it is very likely the seller will be faced with multiple offers. A highly skilled agent will have done his or her homework and will masterfully present your offer to ensure your offer has the best chance of being accepted. 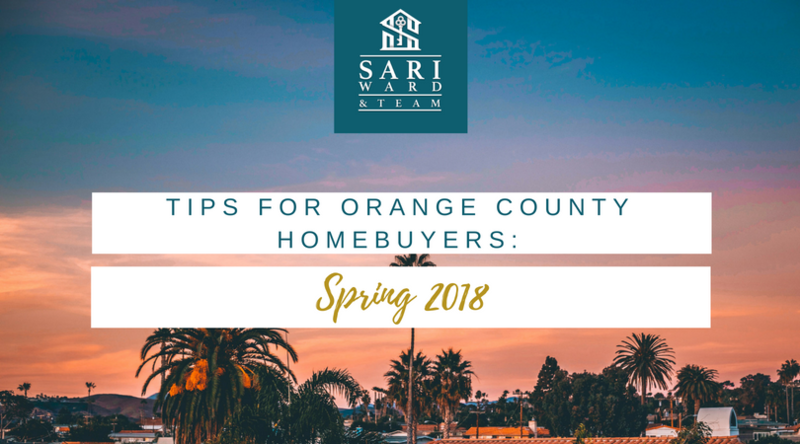 If you are interested in buying or selling a home this spring, Sari can help! Check out what Sari’s previous clients have to say about working with her by clicking here.